APSE is accepting applications for the 2017-18 Diversity Fellowship Program from Aug. 1 to Aug. 31. The Fellowship, in its seventh year, is an in-depth, nine-month course of study for working, mid-career professionals who are interested in pursuing a path as a manager (typically a sports editor, assistant sports editor or sports reporter) in sports journalism. This training program, which prepares Fellows to be candidates for such positions, is underwritten by APSE and its partners and is entering the second year of a two-year, $31,250 grant from the Knight Foundation. There is no cost to the Fellows. The program for employees of APSE member organizations begins in the fall and concludes with APSE’s annual conference June 18-21 in Nashville. Women and minority journalists who have at least three years’ professional experience (exceptions may be considered) are eligible to apply. Applicants should have the support of their employer as attendance at several events is required. Note, however, that travel expenses are paid by the program. APSE realizes the Fellows are working professionals whose first responsibility is to their news organizations. APSE will work with supervising editors to ensure the Fellows meet all work responsibilities, and will customize the Fellowship experience to focus on skills most important to the employer. The goal for APSE is that employers value Diversity Fellowship Program graduates and consider this training invaluable to their newsrooms and, more broadly, their companies. The program is described below. Indicate your intention to apply as soon as possible to the Selection Committee members — Chairman Angel Rodriguez of the Los Angeles Times (angel.rodriguez@latimes.com), Jorge Rojas of the Miami Herald (jrojas@miamiherald.com), Emily Horos of the Aberdeen American News (ehoros@aberdeennews.com), and Fellowship founder Michael Anastasi of The Tennessean manastasi@tennessean.com) — and provide a cover letter, resume and essay of no more than 1,500 words that describes your vision for a sports department under your leadership. (With approval, the selection committee is open to considering other essay topics). E-mail your application packet by Aug. 31 to Rodriguez, Rojas, Horos and Anastasi at the addresses above. They also are your contacts for questions. * Diversity Weekend. Each Fellow attends (at program expense) a three-day, long-weekend academic experience (tentatively planned for mid-November). The experience might include seminars in sports journalism law, business of sports media, digital sports journalism, managing and motivating a staff, the editor as entrepreneur, and the fundamentals of managing money and a budget. * Print Sports Coverage and Sportswriting. Each Fellow works as a member of a team judging APSE’s annual sports section and sportswriting contest. This is a four-day commitment, taking place in St. Petersburg, Fla., on Feb. 24-28. Under the supervision of experienced editors from across the country, each Fellow will typically judge at least three different types of sports journalism, such as daily or Sunday sections, or investigative, project, news or enterprise reporting. The Fellow also will take part in professional development coursework offered during the conference. Each Fellow will complete an assignment prior to the conference, and it will be reviewed with an experienced editor in St. Petersburg. A typical assignment might consist of completing a mock performance review or a daily online coverage budget. (All travel expenses for this component are covered by the program). * Region APSE meeting. The Fellows attend their region’s annual professional-development day. These daylong sessions — the dates vary depending on the area of the country — consist of several seminars on various topics conducted by editors from within that region. (Region meetings are held typically within driving distance. All travel expenses for this component are covered by the program). * Sports Journalism Institute. Each Fellow, under the direction of leaders of the Sports Journalism Institute, the nation’s premier diversity sports program, works as an offsite assignment editor with the Institute’s incoming class. One Fellow might be asked to work onsite in Columbia, Mo. * APSE’s summer conference. 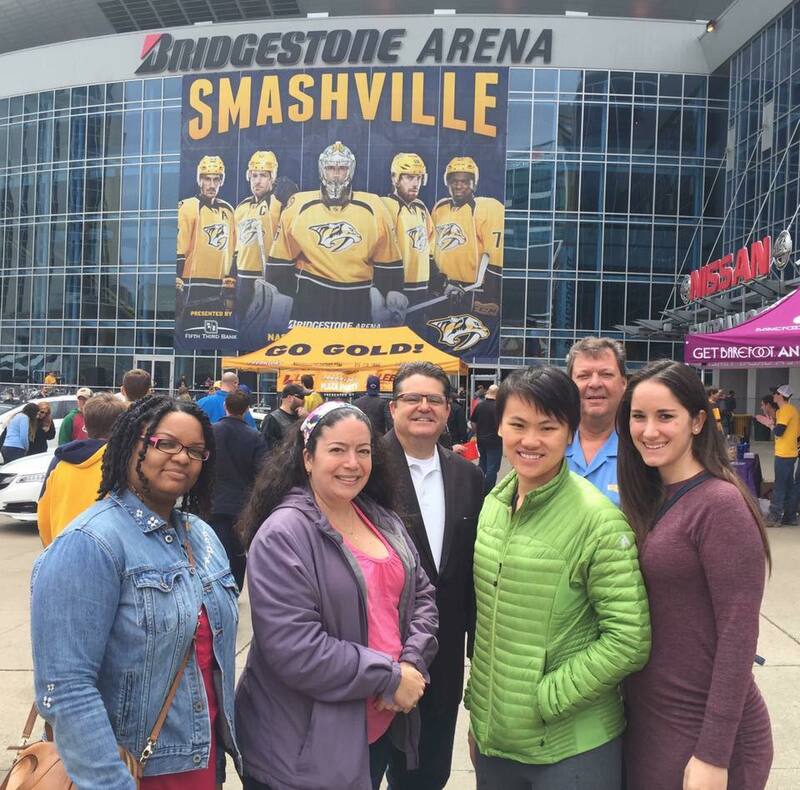 This capstone experience has each Fellow attending the various sessions and workshops of the APSE Conference in Nashville. At the conclusion of the conference, the Fellows receive their certificates of completion. * Finally, an additional practicum such as shadowing an experienced sports editor for two days may be considered.